Home Dashboard Warning Lights Why is My Indicator Flashing Fast? Why is My Indicator Flashing Fast? Other than the occasional reflection, you typically cannot see your indicators and whether they are fully operational. 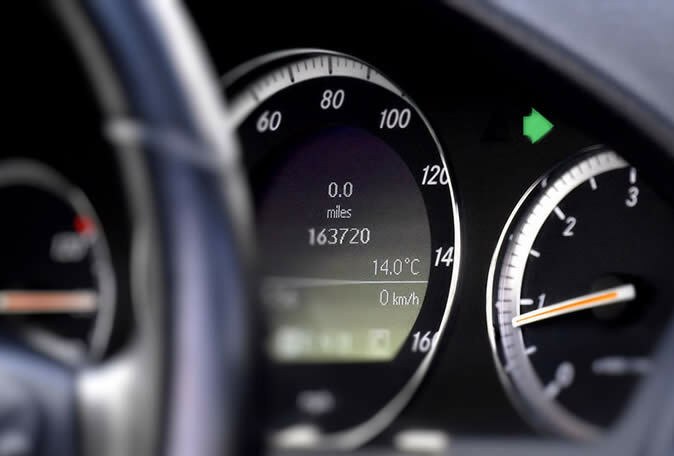 If your indicator is flashing fast, this means that one of the bulbs has blown and you need to change it. The indicator, or ‘turn signal’ flasher unit relies of a certain electrical current passing through it, which is made into a complete circuit when either the left or right indicator is activated. With all the turn signal bulbs functioning correctly, they will flash at a normal rate. If a bulb blows, then the flasher changes its cycling rate. If all of your bulbs are working, but the indicators are still flashing too fast, this may suggest either faulty wiring – a poor ground connection for that lamp assembly. Additionally, fast flashing turn signals can also suggest that an incorrect bulb has been fitted. The legal flash rate for indicators is between 60 to 120 flashes per minute. In newer vehicles, if a bulb has blown the flash rate will increase. In older cars, the flash rate will be slower than usual. Turn signals provide other road users and pedestrians with information on what your intentions are. It’s worth checking your car lights are working correctly once each week. For the indicators, simply activate the hazards which will illuminate all of them. For brake lights, look in reflections or ask someone to check. It’s not only dangerous to have faulty lights, but if stopped by the police, it can see you fined £50 via a Fixed Penalty Notice (FPN) – much higher than the cost of a replacement bulb. If an accident ensues due to a driver failing to repair faulty or blown bulbs, this can escalate from a simple FPN to a court summons, significantly higher fines and penalty points.